Enchanted Lion Books and Maria Popova present a curated anthology of letters and original illustrations crafted by 121 of the most interesting and inspiring culture-makers alive today. 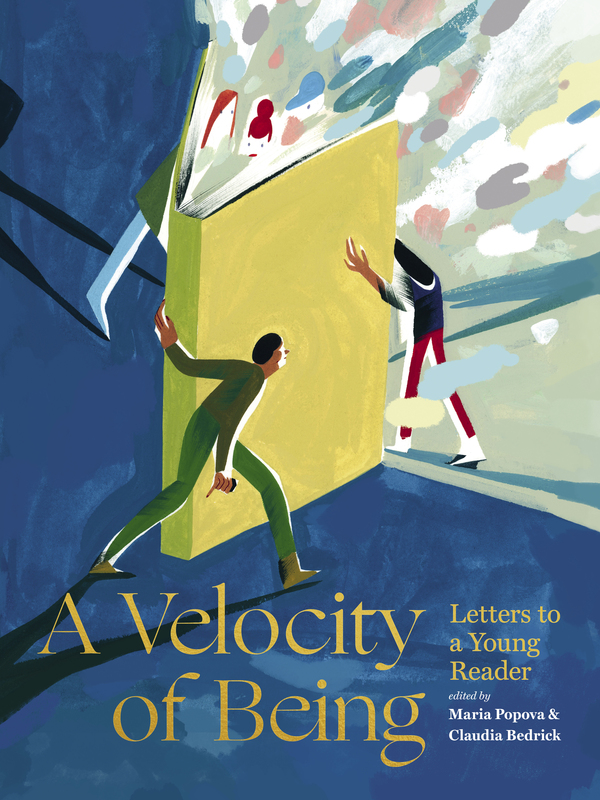 A collection of letters to young readers, A Velocity of Being compiles the words of contemporary artists, writers, scientists, philosophers, entrepreneurs, musicians, and adventurers as they reflect on the power of reading, and its ability to make the spirit soar. In response to each letter, artists, illustrators, and graphic designers of note have created original artwork to accompany the prose. To celebrate the book’s release into the world, a number of its contributors will take to the stage at The New York Public Library to share their letters, each reflecting on how their character has been shaped by a lifetime of reading. Art from the book will be showcased throughout the evening as well, and many of the contributing artists will be in attendance. Featured readings and performances by: Jad Abumrad, Paola Antonelli, Sophie Blackall, Alexander Chee, Mohammed Fairouz, Adam Gopnik, Paul Holdengräber, Sarah Kay, Dawn Landes, Janna Levin, Morley, William Powers, Amanda Stern, Mariahadessa Ekere Tallie, and Naomi Wolf. A labor of love eight years in the making, all proceeds from A Velocity of Being will benefit the public libraries of New York City. Read more about the book on Brain Pickings.